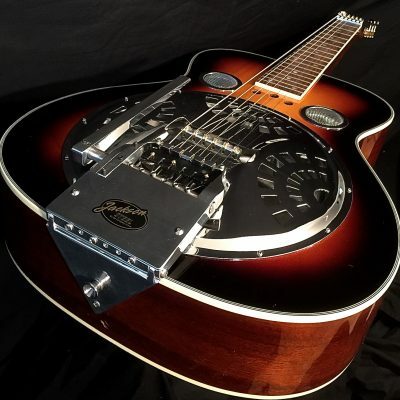 You cannot add "8 String Lap Steel Guitar - SlideKing LS with The EDGE Pitch Changer (In-stock)" to the cart because the product is out of stock. Where sound meets emotion. RED JSG Telecaster replica with The EDGE® String Bender. Raise B and G strings a half or whole tone and Drop E string to D on the fly. 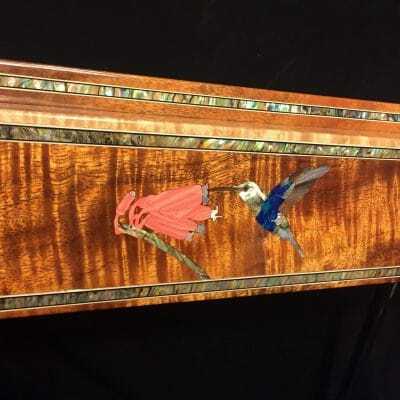 Patented pedal steel guitar design, ensuring tuning stability. Express yourself. 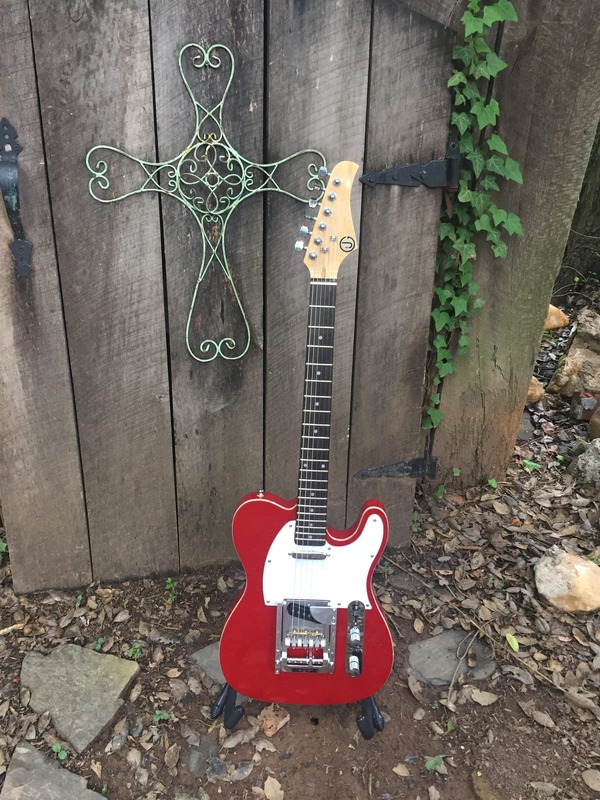 RED JSG Telecaster replica guitar with Double String Bender and E to D Drop. 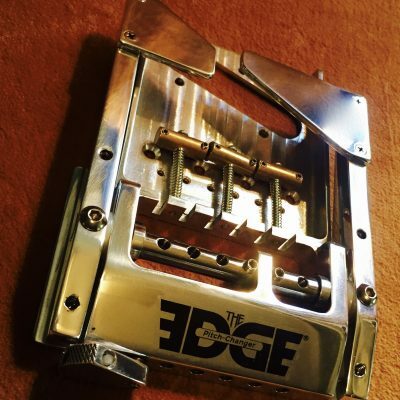 The EDGE® string bending system gives you two individual string Raises. 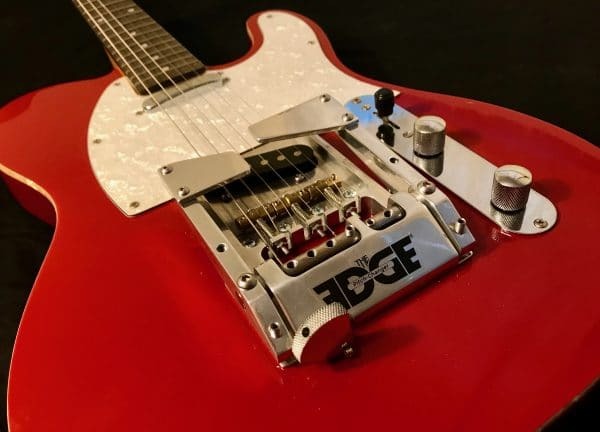 Each bender is tunable, with adjustable solid “stops”, ensuring incredibly accurate tunings when bending in and out of notes. Lower lever raises B string, Upper lever raises G string. 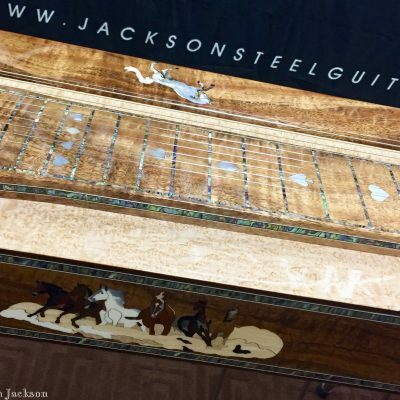 Get beautiful pedal steel-like wails! 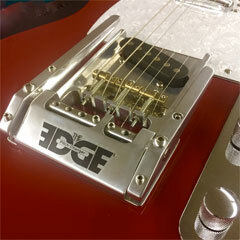 E to D Drop: Rotating tunable “on the fly” knob which enables you to drop from E to D and back while playing.